When you’ve just finished the previous chapter click on the pen icon to start editing! 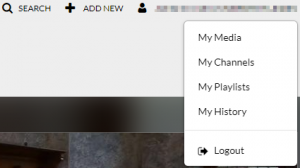 Click on the user-menu and select ‘My Media’. 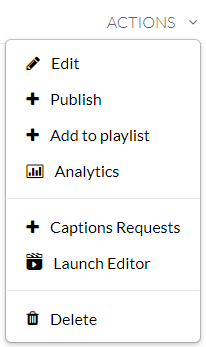 Choose ‘Captions Requests’ from the actions menu (below the video). A new section will appear! In the new section click on the pen icon. After selecting the pen icon a new window will load (the Closed Captions Editor). Type in what you want to search in the left input field. If you want to replace the found selection you can type the replacement word in the right input field and press on the then highlighted “Replace” button. Add Speaker input field (the button will highlight as soon as you’ve selected one or more captions in the list below). Selectors in front of each detected sentence. To the right of the list of captions is the preview screen (which automatically skips to the right starting point as long as autoscroll is turned on. Now that we’ve explained how the edit screen we can finally get to editing, please continue with the next subchapter.